How necessary are Google sitemaps? 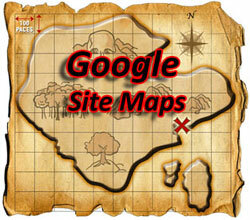 Do I need to submit an XML sitemap to Google if my site already has an HTML sitemap? Answer: As you know, an HTML sitemap is a single Web page that is essentially a list of links to all of your site's Web pages. It provides a means by which a search engine spider can easily find and crawl all of your site's pages. On the other hand, an XML sitemap (aka a Google Sitemap, although it's used by Yahoo and Bing as well) is a special file that provides search engines with specific directives about what pages to crawl and how often. Search engines are not required to strictly obey these directives but they do tend to use them as guidelines. You increase the chances that search engines will find all URLs you want indexed. You can set custom priority scores on your more important pages to ensure more regular crawling. Your sitemap data is integrated with your other site data in Google Webmaster Central, making these associated tools even more useful. The recent Google "freshness" update gives value to time stamped content. An XML sitemap makes it easy to dynamically update last modified dates on the fly.